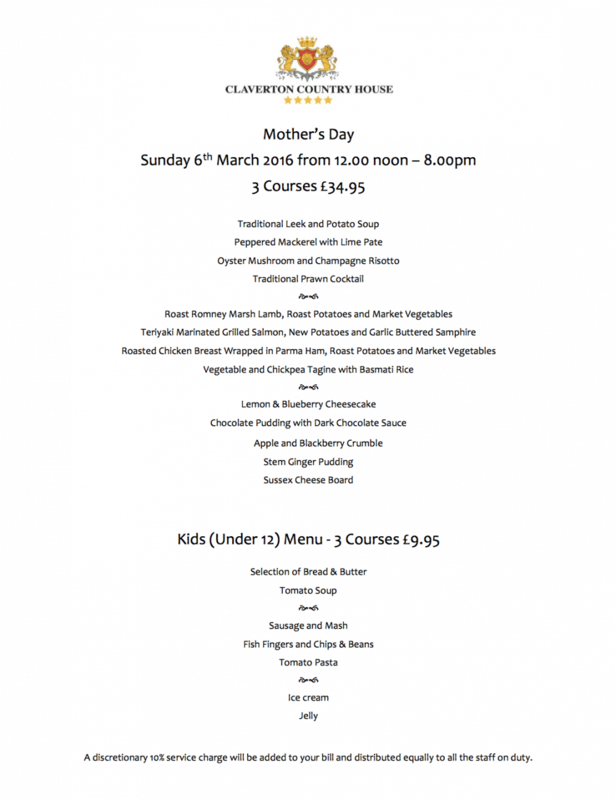 We are offering a special Mother’s Day menu on Sunday 6th March 2016 from 12noon to 8pm. Please contact us to book a table. Breakfast was superb so much choice and best tasting sausages ever.